Is there an Industry or Microsoft definition for Hyperscalability? Is anyone aware of an industry or Microsoft definition for Hyperscalability? …for example, from an Internet of Things (IoT) perspective? One question that may come to mind is: Does this apply to an individual service (e.g. an individual Azure service) or an entire system or a segment of an entire system? All of the above. Individual should be rated basis on having hyper scaled inbound services as well as hyper scaled outbound services (i.e. not bottle necks). The rating for an entire system would be lowest rating of all services on the critical path or segment through the system (for the system’s primary use case or defined separately when there are multiple primary use cases). Similarly, for rating a segment of a system: the lowest rating of all services on the critical path through the segment (for the segment’s primary use case or defined separately when there are multiple primary use cases). 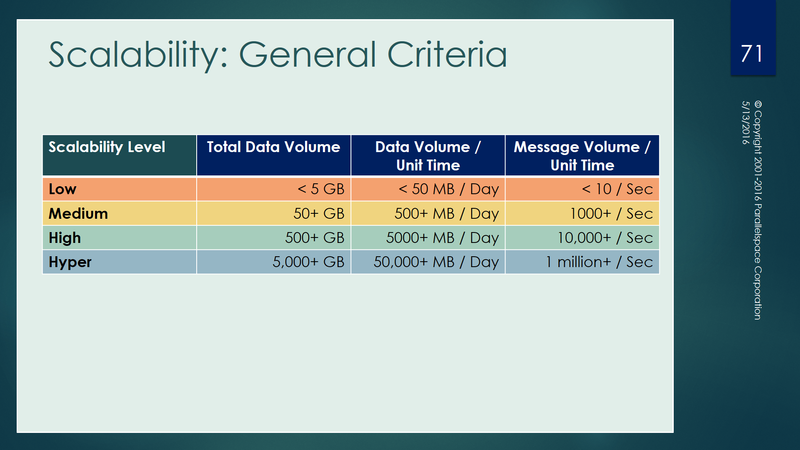 The rating should define the upper scalability capability of the individual service, segment or system.